Chicco Testa was born in Bergamo, Italy on January 5, 1952. Currently Testa is Managing Director of Rothschild Spa. Also he is member of the Board of Directors of Allianz Spa, Chairman of the Board of Telit Communications Plc and Vice Chairman at Intecs Spa. The general Assembly of Assoelettrica, the Italian association representing the 90% of electricity companies operating in Italy, appointed him Chairman of the Association on July 2012. He is also Chairman of the Board of E.V.A.- Energie Valsabbia - a company developing hydropower and solar generation plants. He has been also Chairman of Organising Committee of the 20th World Energy Congress, promoted by WEC, World Energy Council and held in Rome on November 2007 and Chairman at Forum Nucleare Italiano. From 1980 to 1987 Mr. Testa was National Secretary and then National President of Legambiente. From 1987 to 1994 for two legislatures, he was elected to the Italian Parliament, Italian Chamber of Deputies, Commission for the Environment and the Territory. From 1996 to 2002 he was Chairman of the Board of Enel Spa, the most important Electrical Italian Company. During this period, Enel was privatized (Europe’s largest- ever IPO of 15 billions Euro) and in 1997 there was the start- up of Wind, the third TLC Italian Company in which Testa was elected member of the Board of Directors. From 2002 to 2004 he was Member of the Board of Directors of Gruppo Riello, Italian leader company in innovative integrated heating systems and appliances. From 2002 to 2005 he was Member of the Advisory Board of Carlyle Europe, affiliate of The Carlyle Group (Private Equity), Chairman of the Board of Directors of STA Spa (The Mobility Agency of the City of Rome) and Chairman of Kyoto Club (non-profit organization whose purpose is the achievement of the objectives set by the Kyoto Protocol). From 2005 to 2009 he was Chairman at Roma Metropolitane, Council of Rome owned company in charge of the construction of the new underground lines for the Capital. 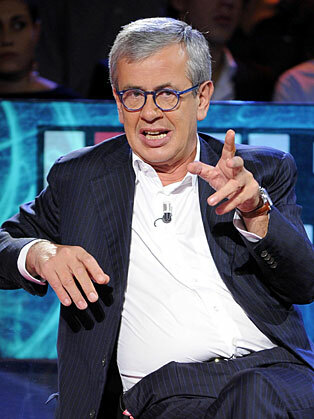 Testa is a journalist and he contributes to some of the most important daily and weekly Italian newspapers. He was professor at the LUISS School Management in Rome (MBA Program Economics and Management in Public Utilities) and he was Professor at the Universities of Macerata and Naples in Economic and Environmental subjects. In 2008 he wrote a book “Tornare al Nucleare?, L’Italia, l’energia, l’ambiente” (Return to the Nuclear? Italy, Energy, Envirnonment) published by Gli Struzzi Einaudi and he created a blog www.newclear.it - a website where everybody can discuss and publish articles, news, data on nuclear issue.